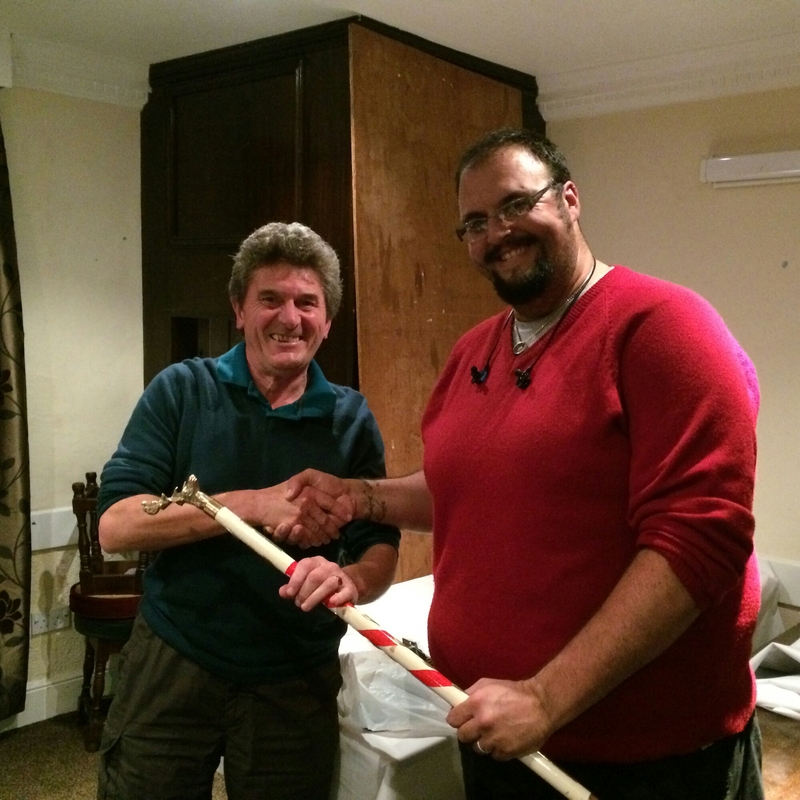 Recently, Harthill Morris held their AGM and in the process elected new members into office within the club. The side are pleased to announce that Darren has been voted in as new Bagman, Peter has taken on the office of Old Man (having job-shared the role last term) and Jono is elected to the position of Squire. Many congratulations to the trio. A huge thank you to outgoing incumbents Brian who job-shared the role of Old Man with Peter last term, Alan H. who led the side as Squire and Neil who held the office of Bagman for 10 years. The side are indebted to you all for your hard work over the past year(s). 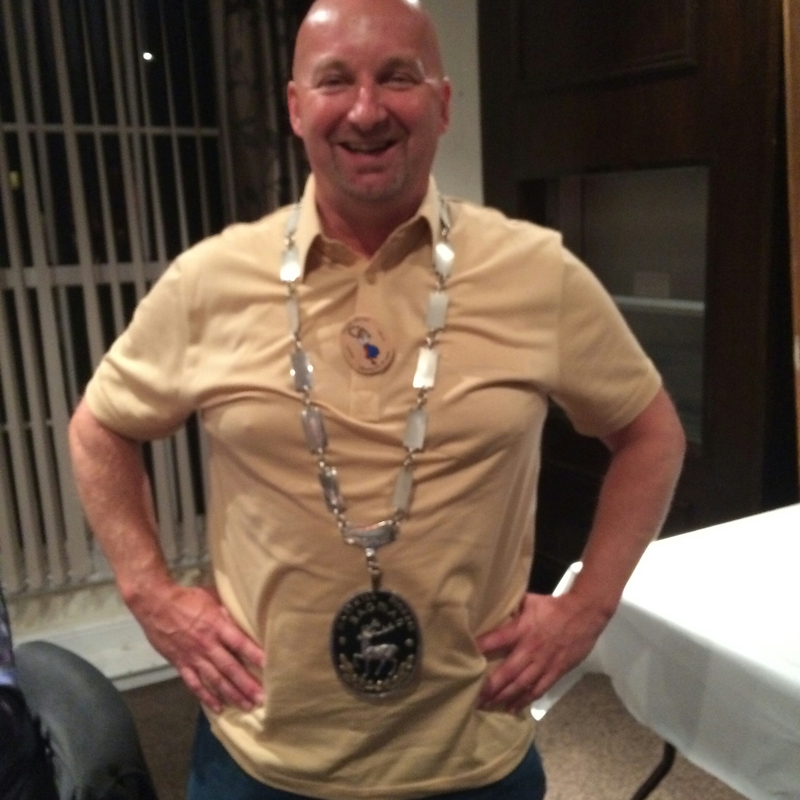 The 2 photos below were taken at the AGM and show Darren sporting the Bagman’s Chain of Office whilst Jono accepts the Squire’s Staff of Office from outgoing predecessor Alan H.
This entry was posted in Uncategorized by HarthillWebmaster. Bookmark the permalink.